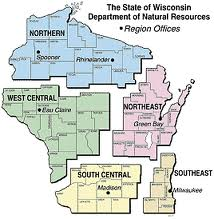 MEG is a membership organization of over 100 municipal wastewater facilities of all sizes throughout Wisconsin. MEG is governed by a 12 person Steering Committee elected by the members. The MEG Steering Committee meets in January, May and September, and its meetings are open to all members. Membership cost is affordable. MEG’s annual membership fees support its legal and lobbying efforts and member services. The fees are only $.11 per capita with a $100 minimum and a $2,250 maximum. Joining MEG will have direct and immediate benefits to your community and will make us a stronger organization in advocating for the interests of municipal wastewater facilities. A membership application form can be found here. For more membership information, contact Marjorie Irving at mirving@staffordlaw.com or (608)259-2637. Please scan or mail a completed Membership Application Form to Marjorie Irving.